If you blew your entire travel budget flying to Spain, don’t despair! 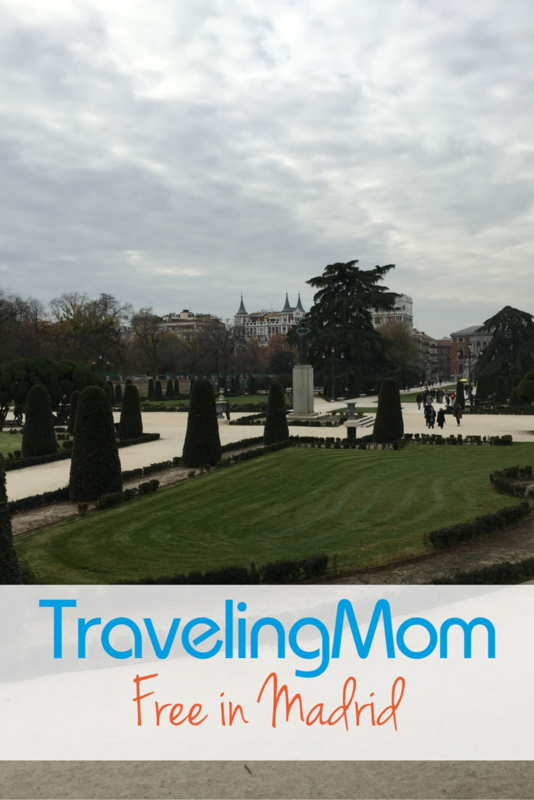 You can find plenty of free, family friendly activities in Madrid, from the excellent museums to a giant park right in the center of the city. Be sure to plan out your itinerary in advance; free days and hours vary, but with careful plotting, you can see and do just about everything with spending a penny. 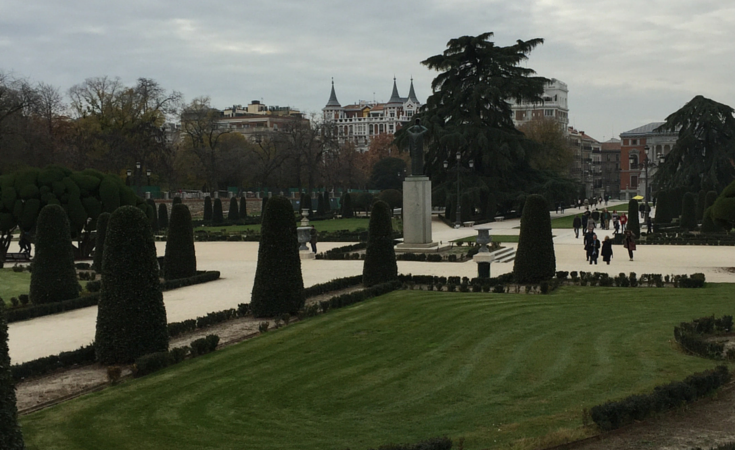 Madrid, the booming capital of Spain, offers many ways to separate you from your euros, with fine dining, lots of boutiques, and steep entrance fees at some of its most popular attractions. But most museums offer free days or restricted free hours so if you plan carefully, you can hit most of the cultural hot spots without spending any money. Most important to me was seeing the Reina Sofia museum, home since 1992 to Picasso’s La Guernica (it used to be at the Museum of Modern Art in NYC). The museum is free on Mondays and Wednesdays from 7-9 p.m. (that’s 19:00-21:00 in Spanish time – all the museums work on military time) and Sundays from 3 to 7 p.m., and while it draws crowds, lines move quickly. You have to get a free ticket for entry – most of the free museums also require this – and you can see quite a bit of the museum in the free time frame. At the Prado, you can get your fill of religious art. The museum is loaded with Spanish and Italian Renaissance paintings: see famous works by Goya, El Greco, Caravaggio, Velazquez and more. It’s like an art history class come to life. The museum is so vast that it may be a good idea to visit a couple of times; easy to accomplish for free since there are free times daily. Monday to Saturday between 6 and 8 p.m., and Sundays and holidays from 5 to 7 p.m. the Prado charges no admission. This museum has a collection of Impressionist and post-Impressionist art that rivals the Met. Free hours are Mondays from noon to 4 p.m. This is one of the few museums that does not require you to get a free entry ticket; note that you can’t see the temporary exhibits for free. 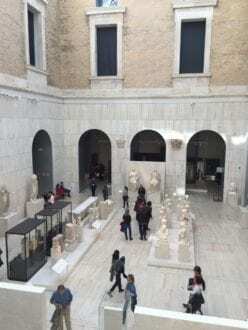 The archaeology museum, in the back of the same building as the National Library, is a family-friendly museum with exhibits that appeal to adults and kids (read: no art. 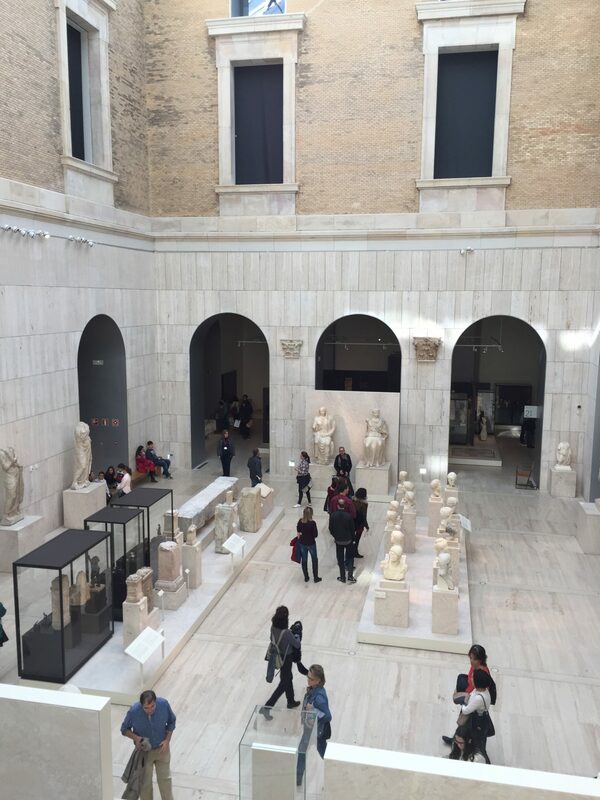 We were warned against taking our kids to too many art museums, and though our youngest is 18, she still has a bias against them. But this museum she loved.) It has exhibits on the beginnings of culture the Roman Empire, and the Middle ages, with weaponry, coins and other artifacts. The time period explored goes all the way up to the 1800s, but we didn’t make it that far. The museum is free after 2 p.m. on Saturdays and Sunday mornings. This is a kind of cool, different museum that offers insight into the growth of modern Madrid from its medieval start. It looks at leisure and entertainment and has painting, architectural models and fashion. The English translations of the information plaques are also a hoot. Tuesday to Sunday and holidays from 9:30 a.m. to 8 p.m.
Every school child learns about Isabella and Ferdinand, and their support of Christopher Columbus. At this museum, you can see models of ships and artifacts like artillery and navy uniforms. Admission is always free; open Tuesday to Sunday from 10 a.m. to 7 p.m. Closed on Mondays. You have to show a valid photo ID to enter. The temple is always free, and is open Tuesday to Friday from 10 a.m. to 2 p.m. and 6 to 8 p.m.; Saturdays, Sundays and holidays from 9:30 a.m. to 8 p.m. Closed on Mondays. 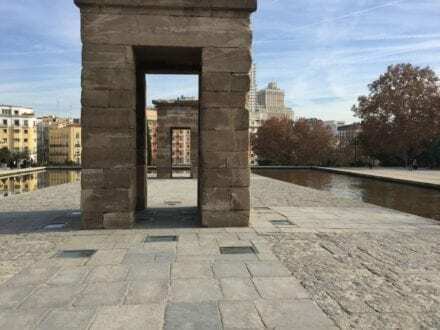 This is an ancient Egyptian temple that was sent to Spain in 1968 and rebuilt in Madrid. The temple is dedicated to the god Isis, which led to an interesting discussion. 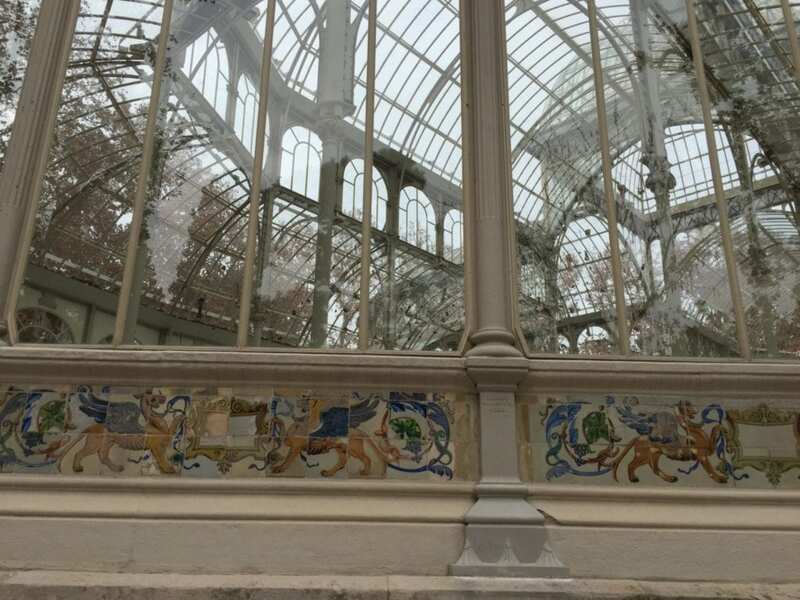 Retro Park, Madrid’s answer to Central Park, is free to wander around, and you can explore the 1887 glass Crystal Palace while you are there. On a warm day, the park is a great place to picnic. There are also row boats (for a fee). Warning: if you are looking to cut costs, be careful when you are dining out. Many restaurants and cafes charge an extra 10-20% to sit outside, and bread is often not free. If you don’t want to pay for bread you aren’t going to eat, tell the waiter before it comes to the table, or you’re on the hook. And if you want tap water, not costly bottled water, ask for agua del grifo. The tap water is fine in Spain.